The first mathematically computed lens. 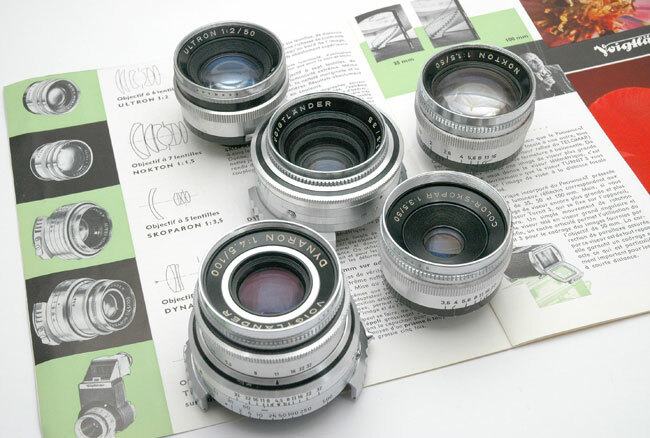 This lens series fit Bessamatic and Ultramatic cameras. 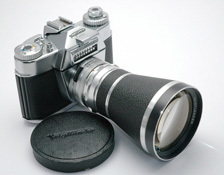 Super-Dynarex 4/135mm (1959) – 4 elements – Angle of field : 19°- Minimum focus distance : 4m – Filter diameter : 40.5mm. 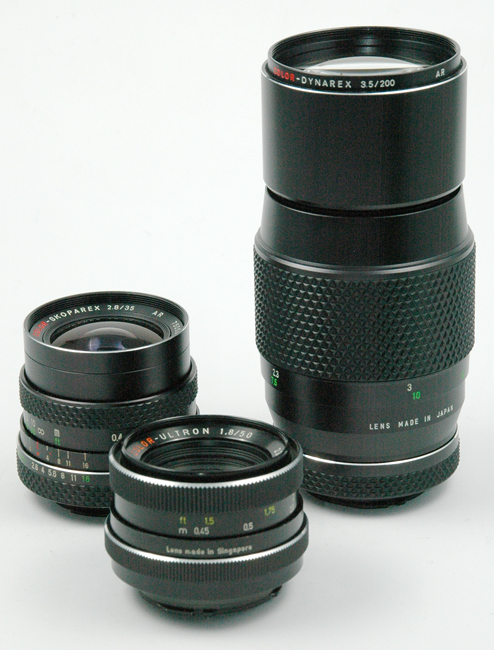 Color-Skopar X 2.8/50mm (1958) – 4 elements – Angle of field : 48° – Minimum focus distance : 1m – Filter diameter : 40.5mm. Super-Dynarex 4/200mm (1962) – 5 elements – Angle of field : 12° – Minimum focus distance : 8.5m – Filter diameter : 77mm. 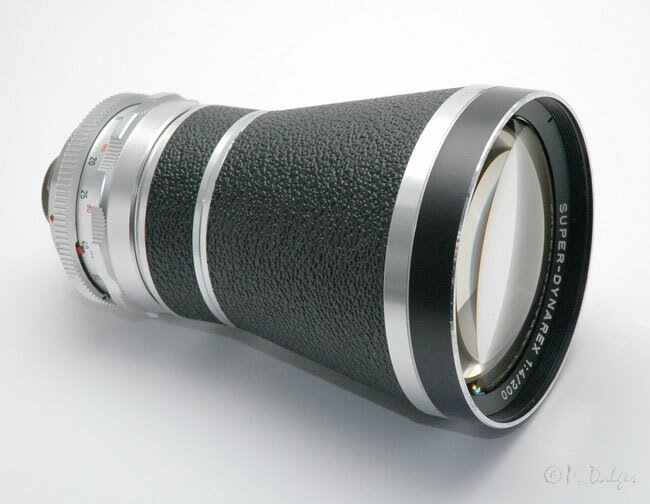 Septon 2/50mm (1960) – 7 elements – Angle of field : 48° – Minimum focus distance : 0.90m – Filter diameter : 54mm. Dynarex 4.8/100 (1960) – 6 elements – Angle of field : 24° – Minimum focus distance : 1m – Filter diameter : 40.5mm. Zoomar 2.8/36-82mm (1959) – 14 elements in 3 groups – Angle of field : 30 to 62° – Minimum focus distance : 1.30m – Filter diameter : 95mm. 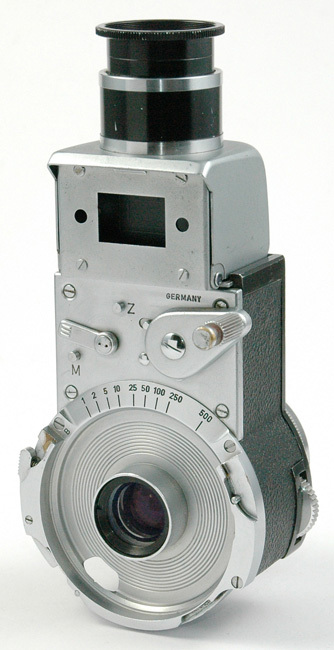 Skoparex 3.4/35mm (1959) – 6 elements – Angle of field : 63° – Minimum focus distance : 1m – Filter diameter : 40.5mm. 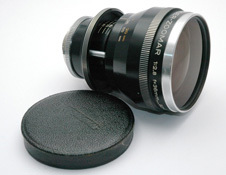 This lens can be fitted on Bessamatic and Ultramatic cameras. 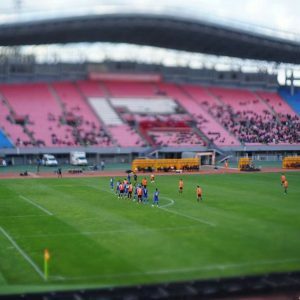 5 lenses – Angle of field : 12,5° – Minimum focus distance : 8,50m. 7 lenses – Angle of field : 7° – Minimum focus distance : 28 m.
Filter diameter : 95 mm. Turning ring with screw mount. 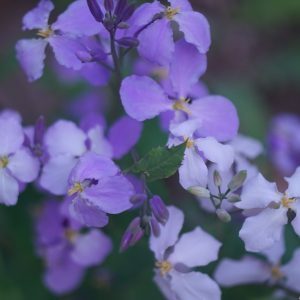 On the left a 4/200 mm on the right, a 5.6/350 mm. First zoom sold in the world (1959). 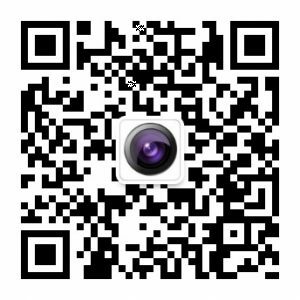 This lens has a very high speed, outstanding for a lens of this type. 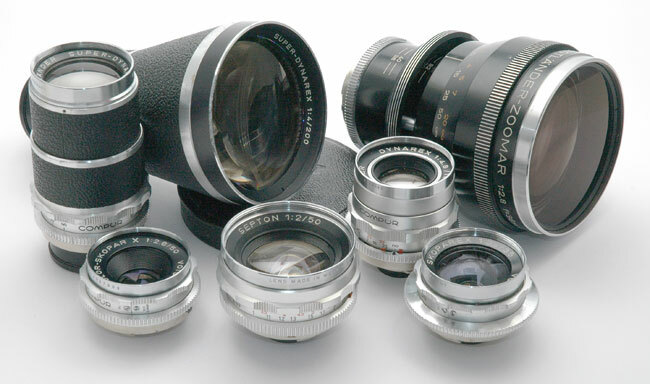 14 lenses in 3 groups- Angle of field : 30 to 62° – Minimum focus distance : 1,3m – Filter : 95mm. 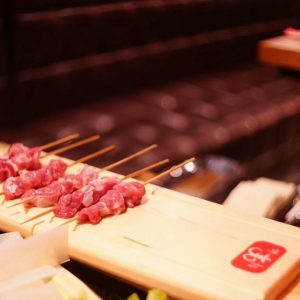 Length : 12cm – Diameter : 10cm. Big and very, very heavy set. This lens series fit Prominent 24X36 cameras. Ultron 2/50mm (1950) – 6 elements – Angle of field : 46° – Filter diameter : 47mm. Dynaron 4.5/100mm (1954) – 6 elements – Angle of field : 25° – Filter diameter : 47mm. Skoparon 3.5/35mm (1953) – 5 elements – Angle of field : 63° – Filter diameter : 47mm. 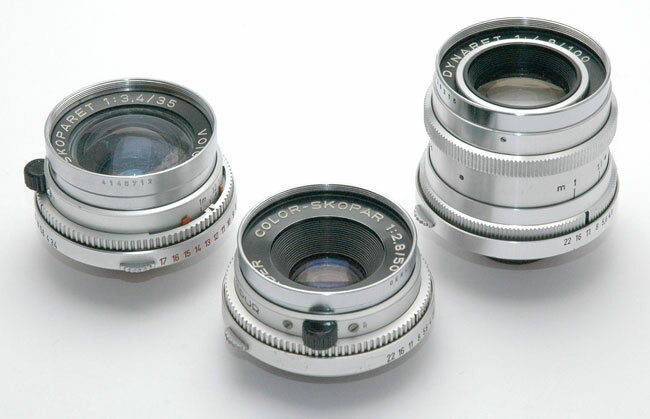 Color-Skopar 3.5/50mm (1954) – 4 elements – Angle of field : 46° – Filter diameter : 47mm. Nokton 1.5/50mm (1950) – 7 elements – Angle of field : 46° – Filter diameter : 47mm. 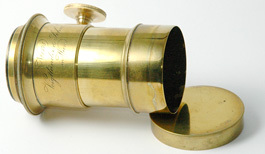 (1953) Tele lens and reflex housing for Prominent 24×36. 5 elements – Angle of field : 25° – Filter diameter : 47mm. Telomar fitted on a Prominent. Telomar in “Kontur” finder position. Telomar with the optional prism unit. 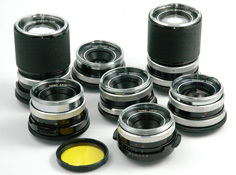 This lens series fit Vitessa T cameras. 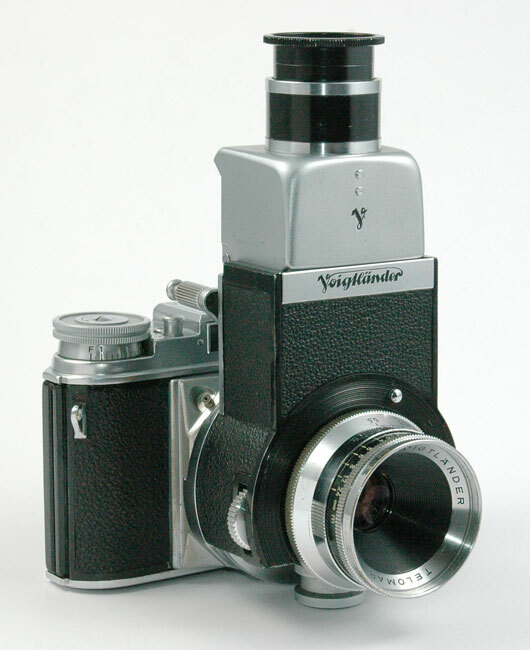 Skoparet 3.4/35mm (1956) – 6 elements – Angle of field : 63° – Minimum focus distance : 1m – Filter diameter : 40.5mm. 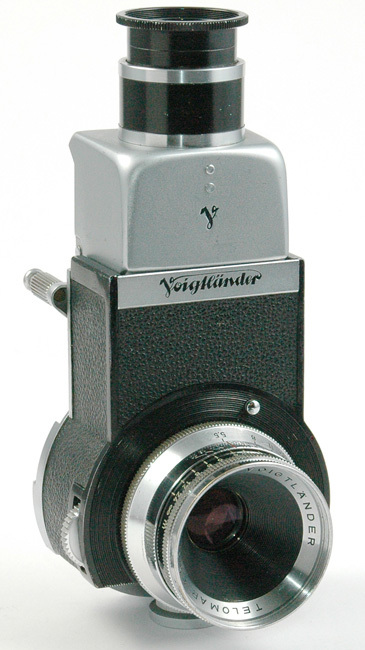 Color-Skopar 2.8/50mm (1956) – 4 elements – Angle of field : 46°- Minimum focus distance : 1m – Filter diameter : 40.5mm. Dynaret 4.8/100mm (1956) – 6 elements – Angle of field : 25° – Minimum focus distance : 1m – Filter diameter : 40.5mm. 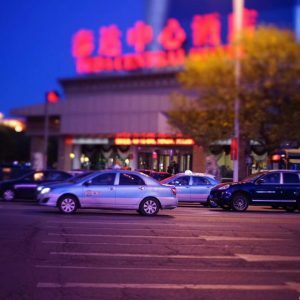 These bayonet-mount lens series fit Icarex cameras. 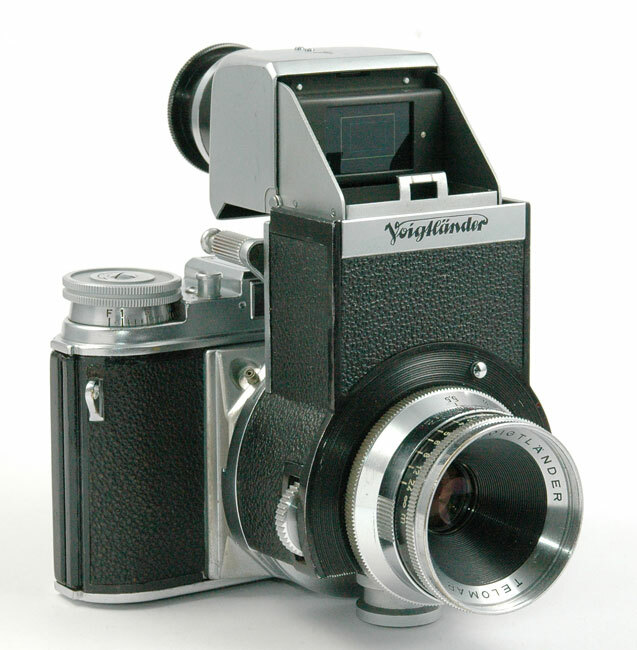 Super-Dynarex 4/135mm (1968) – 4 elements – Angle of field : 18°- Minimum focus distance : 1.60m – Filter diameter : 50mm (bayonet). 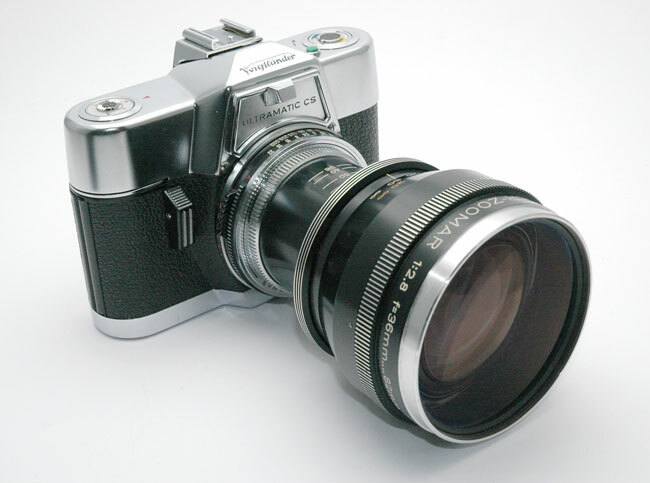 Tessar 2.8/50mm (1968) – 4 elements – Angle of field : 47° – Minimum focus distance : 0,45m – Filter diameter : 50mm (bayonet). 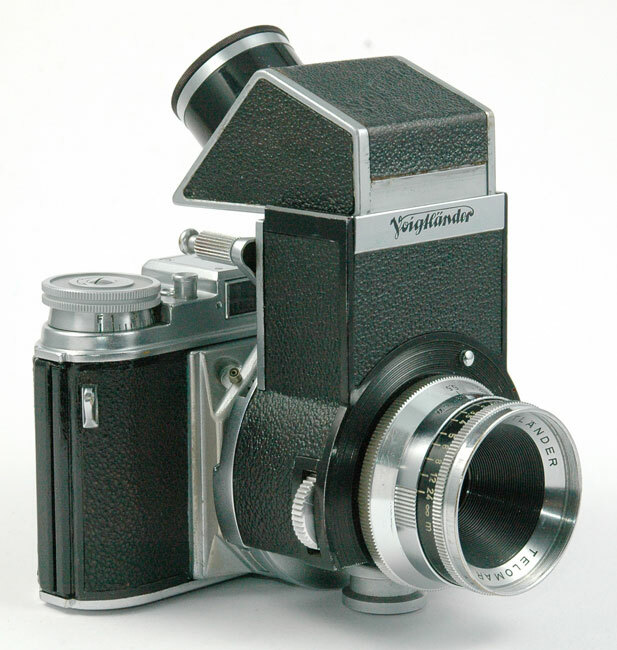 Color-Pantar 2.8/50mm (1966) – 3 elements – Angle of field : 47° – Minimum focus distance : 0,90m – Filter diameter : 50mm (bayonet). Tessar 2.8/50mm (1966) – 4 elements – Angle of field : 47° – Minimum focus distance : 0,45m – Filter diameter : 50mm (bayonet). 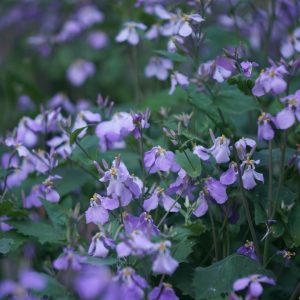 *Tessar 2.8/50mm (1969) – 4 elements – Angle of field : 47° – Minimum focus distance : 0,45m – Filter diameter : 50mm (thread). 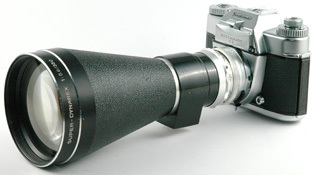 Super-Dynarex 4/135mm (1966) – 4 elements – Angle of field : 18°- Minimum focus distance : 1.60m – Filter diameter : 50mm (bayonet). 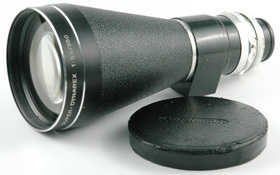 Skoparex 3.4/35mm (1966) – 6 elements – Angle of field : 63° – Minimum focus distance : 0.30m – Filter diameter : 50mm (bayonet). On the left center : 50mm yellow bayonet filter. These bayonet-mount lens series fit VSL1, VSL2 and VSL3 cameras. Color-Skoparex 2.8/35mm (1978) – 7 elements – Angle of field : 63°- Minimum focus distance : 0.30m – Filter diameter : 52mm (screw). Color-Ultron 1.8/50mm (1977) – 7 elements – Angle of field : 45° – Minimum focus distance : 0,45m – Filter diameter : 49mm (screw). Color-Dynarex 3.5/200mm (1977) – 4 elements – Angle of field : 13°- Minimum focus distance : 2.30m – Filter diameter : 58mm (screw). The Color-Ultron was made in Singapore. 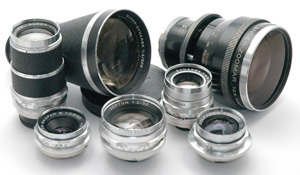 The other lenses were made in Japan by Mamiya-Sekor. They show the end of German manufacturing and the beginning of Asia supremacy.